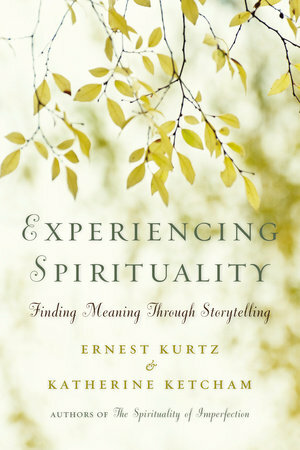 Thirty years ago I had the great good fortune to join up with Ernie Kurtz to write THE SPIRITUALITY OF IMPERFECTION. To say that this book changed my life is a serious understatement. In truth, writing the book with Ernie turned me inside out and upside down. I learned that the doors of spirituality are open to all; that acknowledging and accepting our imperfections — and the flaws and shortcomings of others — paves the pathway to honesty, humility, tolerance, and forgiveness; and that “wisdom” or “teaching” stories have wings that allow them to return to us again and again, each time bringing gifts that expand our gratitude for the wonder and beauty of life itself. I know a lot about imperfection. My brothers and sisters favorite word for me as a child was “obnoxious.” I was hard-headed, obstinate, and outspoken. I still am (a friend who worked alongside me to create Trilogy Recovery Community called me “relentless”) but I also know these adjectives can be turned on their heads because being annoying, demanding, and even disrespectful of certain rules is often necessary when trying to change the existing order of things. I view it as a refusal to give up even when facing near-certain failure, and I think there is some courage and even some charm in what I call “obnoxicity.” I have softened over time and I’ve also learned a lot from working with others who are much smarter and more accomplished than I am (although a few of them, not to mention names, share my somewhat contentious nature). I work hard every day to be kinder and gentler, both with myself and others. The stories I will share on this page and in my weekly emails are my greatest teachers, reminding me to accept my imperfections and with each step forward, backward or sideways strive to be a better human being. Ernie and I wrote two books together and between them, we told and re-told close to 500 stories. These stories are of the “Aha!” “HaHa!” and “Ahhh…”—in other words, they make us think, reflect, laugh, cry, and, at times, experience a sudden, almost overwhelming sense of awe and wonder. They are much more than “feel good” stories because their purpose, throughout the ages, is to help us “be good” in the sense of developing a deeper understanding of the age-old spiritual values of honesty, humility, tolerance, gratitude, forgiveness, faith, hope, and love. I think of these stories as little winged things that rest on my shoulders and whisper to me, helping me when I feel lost or alone, keeping me company, altering my perspective so that I can see life and my own problems in a new and different way. You will understand what I mean as you read the stories and as they work their little miracles in your own life.